The March 7th release of the ADP National Employment Report revealed that more than 216,000 jobs were created in the private sector during the month of February. Historically, jobs in the public sector have been seen as more secure than those in the private sector. However, as private-sector employment improves in quality and numbers, My Colleges and Careers helps individuals get the education necessary to qualify for any of these jobs. More than 216,000 jobs were created in the private sector during the month of February. The March 7th release of the ADP National Employment Report revealed that more than 216,000 jobs were created in the private sector during the month of February. Historically, jobs in the government sector were seen as more secure than those in the private sector. However, as private-sector employment improves in quality and numbers, My Colleges and Careers helps individuals get the education necessary to qualify for any of these jobs. Similar to last month, the private sector showed an increase in employment in all areas while public sector jobs continued to struggle. Private sector industries that saw growth include leisure and hospitality, manufacturing, and professional and business services. Understanding how this data can affect individuals seeking employment is very important. This is especially true for those who wish to further their qualifications by completing a college education. Knowing which industries are growing during the economic downturn can guide education-seekers towards the best degree programs. 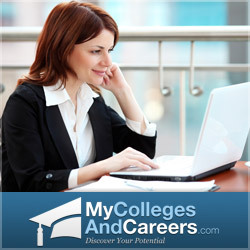 My Colleges and Careers specializes in helping students find online colleges. The advantage of an online education versus a traditional school is found in the flexibility of schedules and reduced costs. As job growth continues, those who have degrees which are applicable in a currently expanding field will be more likely to receive higher wages. Since the private sector is having excellent growth right now, and will continue to do so, according to the recent data, individuals would be wise to seek a degree in one of the above-mentioned fields. The “Find School Now” feature on the My Colleges and Careers homepage will lead education-seekers towards the best accredited online colleges. And more importantly, it will guide them towards colleges that offer degrees in their specific area of interest. Additional tools, such as infographics, news updates, and a professionally-authored education and career blog, will be key in providing additional information to prospective students. As said before, the best way to guard against recession and find gainful employment in this rough economy is to be qualified for jobs in the industries that matter. Data from the ADP can guide individuals towards high-growth industries, while My Colleges and Careers can match them with schools to help them qualify for work in those sectors. My Colleges and Careers is dedicated to helping students and prospective students earn their college degrees through online degree programs. Considering that most students have other responsibilities and commitments, My Colleges and Careers can become a great resource for those seeking a way to fit school into an already busy schedule. Through online programs, students can complete their schooling at their own pace. The tools and services offered on the My Colleges and Careers website have already assisted many students in completing their education and starting a successful career.